June has been an odd month, I’ve started stockpiling books again and I’m not actually reading them. This is not what my year-long book club is about. I realised in January that I was collecting books and not reading them, the downside of owning a Kindle. I just need to remember that as tempting as new books are, reading them is even better. One of my favourite books is A Clockwork Orange by Anthony Burgess, so I thought I’d try another one of his novels. I wasn’t sure what to expect as A Clockwork Orange is a very violent read filled with a made up language. One Hand Clapping is very gentle in comparison. It follows Janet and Howard who are just a normal working class couple, who enjoy watching television in the evening. They watch a boy win £1000 on a quiz show and Howard decides he will use his photographic memory to win big on the quiz show. Once he has the £1000 it’s not enough and he uses it to win roughly £80,000 by betting on horses. Now with more money than they can imagine Howard and Janet set about having an expensive lifestyle. Burgess wrote this novel to vent about the slide in Western culture and education, and despite the book being over 50 years old it did feel current. The best bit is the twist ending though when you realise that Janet isn’t as meek as she’s made herself sound. 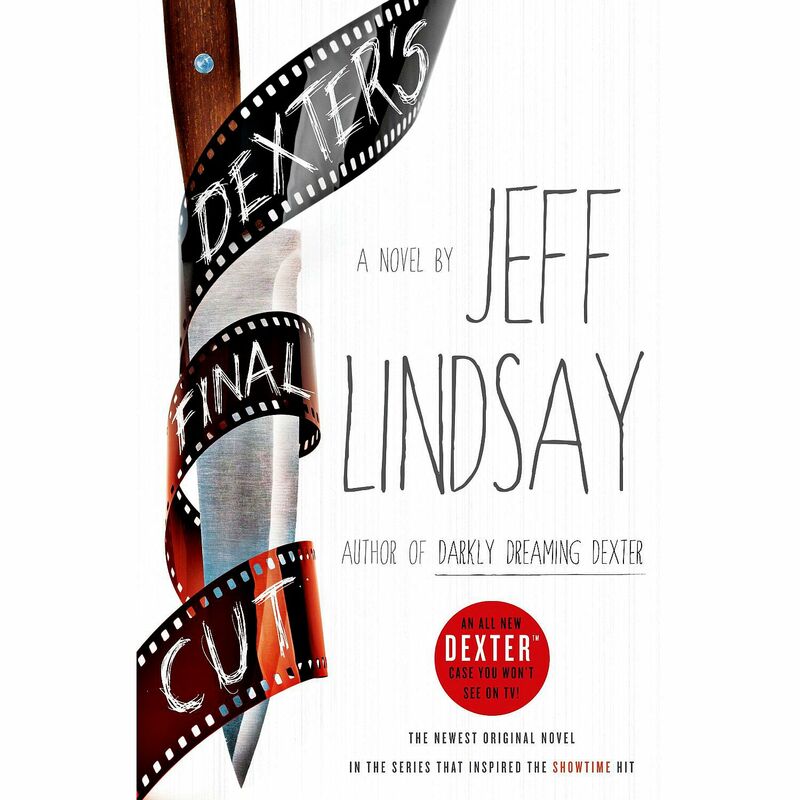 Dexter’s Final Cut published by Orion Books Limited. If you thought the Dexter TV series, about a police forensic specialist whose hobby is killing people, could be a bit grim at points, then try the books by Jeff Lindsay. The storylines are different but most of the ‘baddies’ are similar, and it’s much worse reading the chopping and slicing yourself. Having said this I’ve always enjoyed the Dexter books in some way. Dexter’s Final Cut is different, not just because the title isn’t alliterative, as the killer is caught half way through the book by Dexter and not in his police capacity. But the murders continue happening. I thought the end was a bit predictable and perhaps went a bit too far, not particularly gruesome just a bit too personal. However, it was a really enjoyable read and the ending makes me want to read the next book. The Midwich Cuckoos is a fantastic read, I read the whole book during one long train journey. Wyndham sci-fi novels are stereotypically British. The village of Midwich experiences a strange ‘Dayout’ event, there’s no consequences until all the women of childbearing age realise they’re pregnant. Nine months later 61 children are born and the village has to deal with raising these extraordinary children and keeping it a secret. Then the villagers realise that the Children are pitting the villagers against one another and something needs to be done. It was fascinating to follow the children and the impact that it had on the village and the women. The book was written mostly as a factual report with not many mentions of the emotional impact. There were hints to one woman who had moved to Midwich just for work and ended up pregnant as a result of being there on the Dayout and abandoned her baby because she just saw it the same as if she had contracted an illness. That story was just a sentence but I would be interested in finding out more of what the women thought about the invasion. It’s also a very sweet idea from the 1950s that a whole village of women giving birth wouldn’t get in the papers. Nowadays someone would be live tweeting something like that. When it comes to the summer months people often look for beach reads, romantic novels which can be devoured in a week and left behind in a hotel room for the next person. Instead I’ve picked a few non-fiction books to read. I was enticed by Mary Beard’s Confronting the Classics because I studied Classical Civilisation at A Level so I like to revisit the subject now and again. Continuing the non-fiction theme I’ve missed Jeremy Paxman since he left Newsnight so this month I’ll be reading his book about the first world war. And for something completely different… I’m hoping to get a copy of Michael Palin’s Monty Python diaries from the library. Monty Python do their final stage show this month and I’m quite interested to see what Python was like at the beginning.